What Do Men Really Think About Yoga? 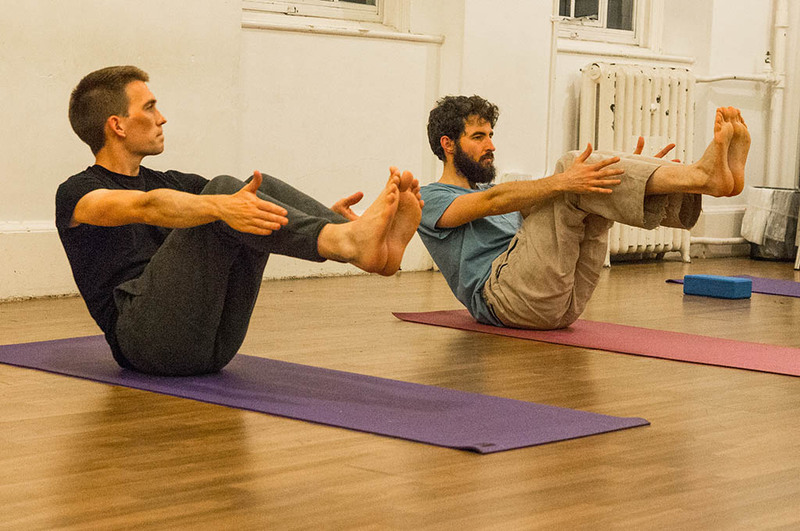 Find out what yoga is like for a modern-day man in South West England from our yoga students! Directors, managers, administrators, analysts, executives and PhD students as well as cyclists, rock climbers, runners and rugby players are those who come to our yoga classes the most. I invited them to share what yoga means for them. Most of them are aged from 20 to 45. Some are new to the world of yoga, some have been practising for a couple of years. Find out how they thrive in yoga – a female dominated industry in the UK. Paula: Sathish, you are only 24 and been already practising yoga for over 5 years. Why? Sathish: To relieve my stress and clear my thoughts. Justin: I can fully support this. Yoga really helps me to relax. I feel like I can begin the day all over again after an hour of yoga. Paula: Would everyone agree on this? Jason: Yes, although I mainly practice for health reasons. I think that yoga is healthy for my body. It keeps me flexible and reasonably toned. I guess it’s like WD40 for your joints! Sam: Absolutely. My flexibility is terrible from years of heavy weight training. Yoga has totally loosened me up and corrected my caveman posture! Justin: Yep, yoga can really help in the Gym! It improves your core strength and balance. Paula: That’s very encouraging! And do you find yoga easy? Sathish: I would say 7 out of 10. Jason: I find it just easy enough to access but hard enough to have something to work towards. Justin: It isn’t scary, however I do find some of the stretches challenging. Paula: Are these the reasons why there are not that many men practising yoga in UK? Justin: I think men find it hard to grasp. We just have the wrong perception about yoga sometimes. Sam: Probably an insecurity thing, or they don’t realise the benefits flexibility and relaxation can have on the more macho aspects of their lives. Andrew: The reason is the view that it is not hard enough (low impact), and a bit hippy / alternative. Jason: I don’t think men are as aware, or take as much care of their bodies as women do. Ian: I don’t know; women seem to generally be more flexible than men so perhaps are more suited to it. Meditation can also involve facing one’s emotions or inner self, which men stereotypically avoid. Tomas: It’s all about misconceptions of what yoga is! Paula: Would you say then that yoga is also a men’s activity? Sathish: Yoga is for humans. I would recommend it to everyone. Jason: Gender neutral – it doesn’t matter if you are man or a woman. The benefits are the same. Sam: It’s great for mental and physical health. Top male athletes swear by it! It’s not just for women! Andrew: It’s good for you and complements other activities. Ian: For me, flexibility, strength and meditation are worth working on and yoga is a good way to achieve that. Paula: Your determination is something I would like to see replicated across the UK. One thing bothers me though. What is it like to be the only man in a yoga class? Jason: It doesn’t bother me: I just get on and do it. Tomas: It doesn’t really happen to me very often. I don’t really care though. Justin: I love it. Have no problem with it at all, but I think some men might find it uncomfortable. Sathish: Yes, sometimes it feels awkward but yoga is good for me so I don’t care about it. Ian: I haven’t experienced being the only man in the class. Paula: And, what’s your experience with yoga so far? How long have you been practising? Ian: 2 weeks! Though I’ve done a little before ad hoc. Tomas: On and off since 2009. Actively, at least once a week, for 2 years. Jason: Two months. I’m still very much a beginner. Paula: Guys, thank you for the interview. Keep up the good work! Perhaps it’s time for you to join a class?